I recently made a lovely new friend, Mel, who has got me thinking again about pulling out my spinning wheel… we met via another lovely friend who kept insisting we’d get along beautifully because of our mutual appreciation for woolly wools. Turns out we have a lot of other things in common. Mel is an amazing spinner and, while I definitely am not, I definitely gleaned most of my knowledge of fibre through spinning in a very intensive course at the local guild. 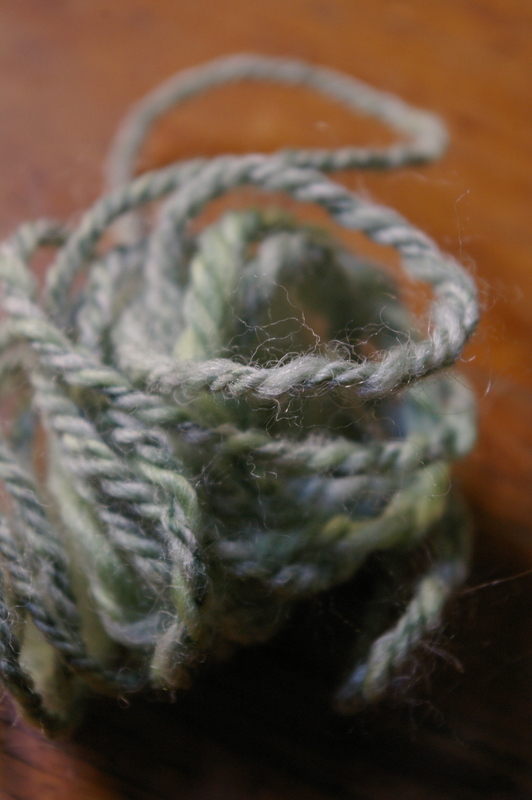 So much of the way a yarn behaves relates to its fibre content and the way it is spun and plied; if you can understand what that particular fibre does best and how spinning can maximize (or compensate for) that, you have the potential to make a yarn that shines. That bit of understanding of yarn construction and what that yarn might be good for has helped me every day I’ve worked at my LYS. And that big pile of beautiful fluff she made for me! I have been feeling the urge to spin again this winter and this is the incentive I need to oil the wheel and get practicing so that I can spin and then knit with it. I can’t wait to see what it’s like spun and then knitted- I hope I can do it justice! I’m not sure how spinning will affect my tight knitting schedule ; ) I think I’ll always be a knitter ahead of spinner, but perhaps I’ll find the balance this time around. How do you balance your crafts?! And for you spinners out there, the ace news is that Mel is now producing small, one-off runs of hand-blended tops, specializing in the more unusual breeds of sheep that have so much to offer! 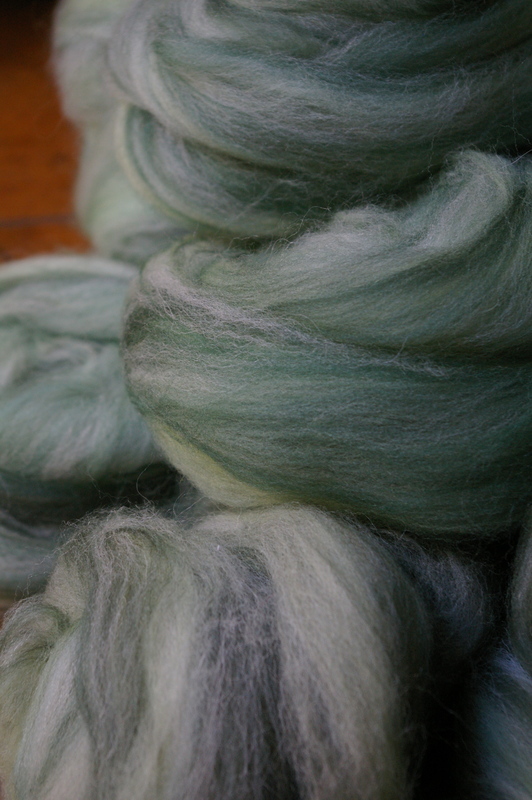 Her beautiful fibre can now be found in her shop. Thanks so much for the inspiration, Mel! This entry was posted in community, knitting and yarn on September 6, 2012 by admin. I don’t spin, although I would happily learn if I only had the time. I think I should have been born back when every girl learnt to work a spindle at her mother’s knee, I’m guessing that way one becomes efficient enough to have time to spin and knit. Beautiful stuff! I think I’d love to be able to spin and dye but I don’t have enough time to knit all I want to at the moment… one day.